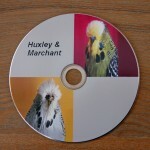 dvd - Budgerigarworld.com - The international website for the hobby worldwide. A website all about Budgerigars. All Entries Tagged With: "dvd"
Feather assessment is discussed in more depth than I have ever witnessed. A DVD of the Molkentin Champion Breeder Stud in South Africa is now available. This is probably the last time that fanciers can see and hear Reinhard Molkentin (South Africa) and Gerald Binks (UK). A new DVD featuring the Freakley and Ainley partnership has been produced. The Freakley and Ainley partnership, based in Leicester and Rochdale in England, was formed in 2002 and has enjoyed a highly sucessful record at the Budgerigar Society Club Show, including back to back Best In Show awards in 2007 and 2008.